Meet Ted - a smart bear who knows a thing or two about managing a voiceover home studio. Ted started here as an intern in 2014, right after my home studio was built, as part of his rehabilitation. You see, Ted was stuffed into a cardboard box and "misplaced" for 30 years (which is very distressing for a small bear). Fortunately, he was discovered in my parents' loft just two weeks before I left the UK for America. It was too late to get him a plane ticket, but he came over on the cargo boat instead (so he could look after the contents of our house on the way). Ted and I go back a long way: he was made for me when I was just a baby, by a lady called Betty, whose husband worked with my father. 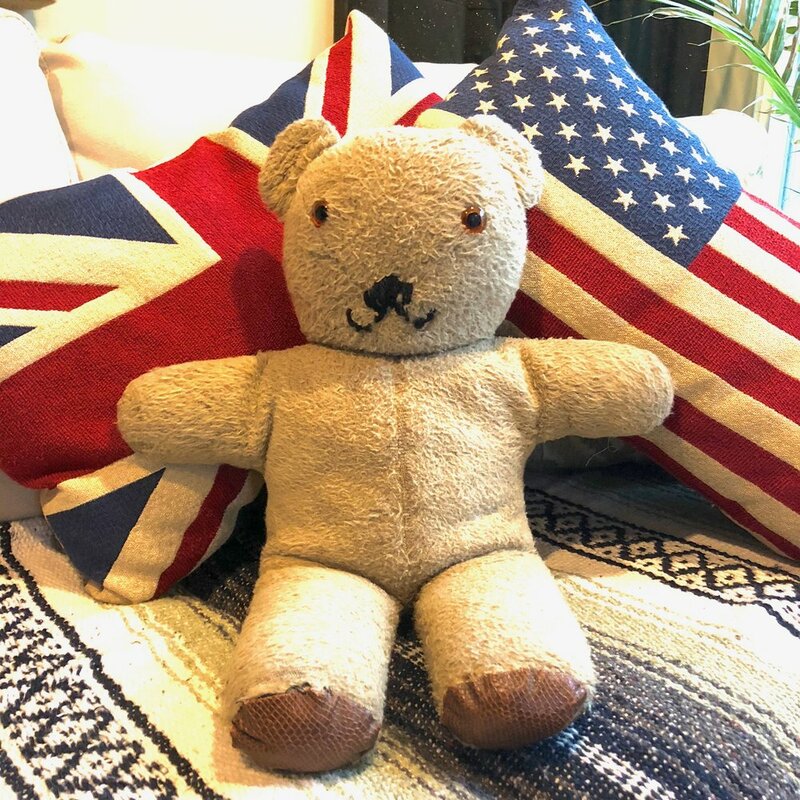 He may be looking a little threadbare in places (which comes to most well-loved bears of his age) but we went through a lot together before we got separated, and I was very pleased that he found his way back to me just in time to be part of my new life in America. He's definitely a hard worker: he's always in before me in the morning, and he's still there when I leave in the evening. I thought that kind of dedication deserved a promotion. Ted's always there with a smile (it seems like he's always in the very best of moods), and he tells me when the studio's getting messy and needs tidying up.